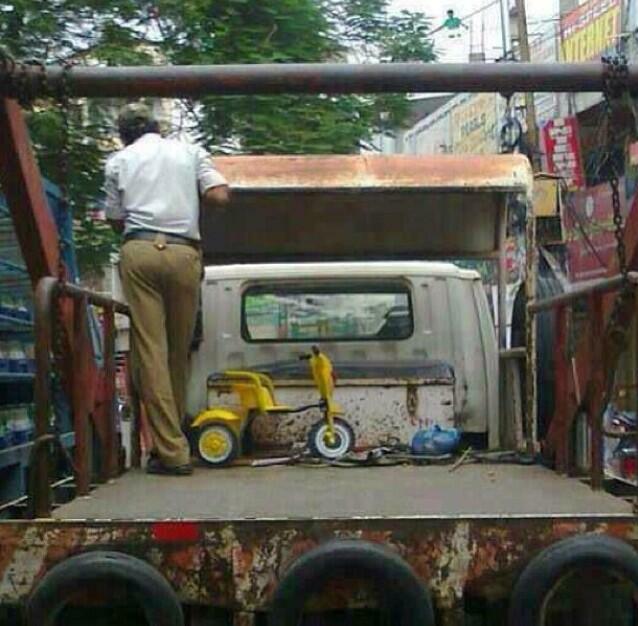 In a shocking incident, a child who had parked his tricycle in a no parking zone was in for a rude shock when police towed it away.
. We have changed its nameplate to protect its privacy. Media has no ethics these days. They had printed the story of the demise of my beloved Aston Martin. Imagine!